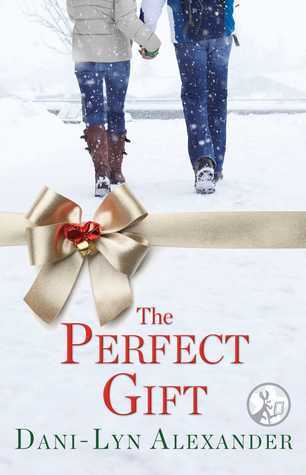 Last minute shopping and a fight over the last toy of its kind don’t sound like a promising start, but in The Perfect Gift they lead to a budding romance and some adorable moments. The unlikely premise of the story made it harder for the author to convince me of the attraction between the main characters, but Ms. Alexander managed to do it just fine. The relationship develops perhaps a tiny bit too fast at the beginning, but the short format doesn’t allow for any dawdling. As Leah and Jason get to know each other, the pull they feel towards each other begins to make more sense. Their acquaintance quickly evolves into friendship, and over the shared stories of single-parenting and of their kids’ awesomeness it grows into a lot more in the span of a single day. By the time they ended up wrapping gifts at her place, I was very invested in their relationship and I was rooting for Jason not to sleep on the couch. But of course, the author’s version made so much more sense as it depicted Jason as an utter gentleman. The girls and their instant friendship felt a bit too simplified and too quick, but again, that was probably due to the short format and to show the true spirit of Christmas. Jason’s solution after not finding the second doll house was sweet and very telling of the sort of a father he was. The flurry of snowflakes outside, Leah’s freezing fingers and Jason’s kindness as he tries to warm them, and the cozy scene when they have dinner were so scrumptious I wished this were a longer piece so I could get to know Jason and Leah better. As it was, I got a sweet tidbit that got me thoroughly in the mood for the holidays. The Perfect Gift was indeed a sweet surprise.